To many, a ghost is the non-corporeal consciousness (or soul) of an individual. It is thought that this spirit can linger long after the body has expired. When this consciousness lingers instead of, as many believe, ascending to another level of existence, we say that this ghost is haunting. However, a haunting can have a much broader meaning. It may be generally defined as the presence of one or more of the following phenomena at a single locale (be it a structure, geographic area, or object): apparitions, autokinetic manifestations, disembodied voices, and inexplicable sounds or smells. I have based the following descriptions upon repeated motifs in witness testimony and most of the following terminoloy is my own. The nomenclature and categories herein are drawn from description and not from inferences of any physical or metaphysical compositions. About this, we have no clue, so trying to define these matters in non-experiential terms would be fruitless. However, we can speak in terms of what we have perceived with our senses. We cannot yet speak of "ectoplasm" or "spiritual energy" but we can begin where science dictates we must: observation. From there, we can hypothesize and test but we must always be willing to reject these hypotheses and begin anew. Apparition is the term used to describe a ghost that appears to the percipient (as opposed to an auditory, olfactory or kinetic manifestation), often in a recognizable or semi-recognizable form. This can vary from a solid-looking individual (or object) no different from anyone else (often termed “full-body” apparitions), to transparent, semi-solid or even vague, misty forms. It may be ultimately realized that the apparition is merely a psychic projection. It may only appear to the percipient in the manner the spirit wishes the living to see it, which may go a long way in explaining why some can see ghosts while others cannot. There is evidence to attest that those individuals most psychologically attuned to the phenomenon will have the greatest success at witnessing it. 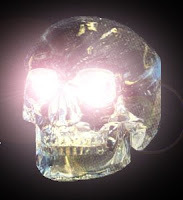 This psychic projection theory can best be exemplified by the argument that if clothing and other objects do not have spirits (souls), then how can they manifest along with the corporeal visage of the deceased? Yet, if this is the case, how can film and video capture apparitions as well? Or do they? Non-recurrent Apparitions (Crisis Apparition, Class I) – A surprisingly common occurrence, these apparitions generally appear within a short time of their death. They are said to manifest themselves in order to deliver messages to the percipient, often a loved one. These apparitions do not necessarily appear at the moment of death. Sometimes they can manifest themselves hours, days or even years afterward – often at a significant moment or anniversary. However, not all “non-repeaters” (as they are sometimes termed) are deceased. Others can appear at a crucial or dire moment, sometimes just prior to death. These apparitions are known as Anxiety-related, Non-recurrent Apparitions. Anxiety-related, Non-recurrent Apparition (Crisis Apparition, Class II) – Believed to be a sort of stress-induced telepathy, this type of apparition is circumstantially identical to the first category except the individual whose apparition is witnessed is still alive. However, at the instant their apparition was perceived, they were frequently found to have been enduring a traumatic situation. This type of apparition is tantamount to astral projection (bi-location) or an out-of-body experience; the supposed ability to psychically project one’s self through space-time to either another person’s mind or to actually corporealize. This is thought to explain situations of Doppelgangers and the like. Recurrent Residual Apparition – An apparition that can be seen by many different people over the course of many days, weeks, months, years and even centuries. Their actions and appearance are often repetitive and they show little or no awareness of their surroundings. They appear like a video loop, repeating the same situation over and over. This has caused some investigators to theorize that what is actually being witnessed is some sort of quantum anomaly – a window that opens onto a specific moment in time. Or perhaps, like videotape, a moment in time can be imprinted upon the environment and repeat itself long afterward. I term this phenomenon an Environmentally Imprinted Anomaly (EIA). Work has been done that may validate this theory. In 1982, researchers John Marke and Allan Jenkins performed an experiment at an ancient, “haunted” Kenfig pub in Mid-Glamorgan, Wales. Their theory was that the stone walls, containing substances similar to those used in magnetic recording tapes (such as silica and ferric salts), could conceivably have become imprinted upon by past sounds, which accumulate like an aural patina. The researchers theorized that by applying the proper electrical stimulus, these stones could “play back” their recorded sounds. The two men connected electrodes to the walls and introduced 20,000 volts of electricity for several hours overnight while tape recorders documented every sound. When the tapes were reviewed, the researchers discovered they contained various anomalous sounds such as unintelligible voices (thought to be in an ancient Welsh dialect), an organ and a ticking clock (when no clock was present). Recurrent Cognizant Apparition – Unlike a residual, these apparitions can move about more freely and interact with their environment in much the same way a non-recurrent apparition might. These “Spirits,” as they are often called, are frequently aware of their surroundings and any person therein, although they may seem a bit confused at times. It is believed by many investigators that this type of apparition is the disenfranchised soul of a deceased individual. Occasionally, witnesses attest to these manifestations exhibiting a degree of clairvoyance or telepathic prowess. “The Unredeemed” – A cognizant apparition that seems to bear an unresolved emotional crisis. It is believed that these apparitions cannot “move on” until their crisis has been resolved. They are the most active at communicating with the living, however, they may not always know how or why. Often times, they seem to be as confused about their situation as the living witnesses are. However, other sounds seem to respond to percipients. For example, a woman hears phantom footsteps and yells, “Go away!” In response, she hears retreating footsteps. There are also the countless cases of those who have “communicated” with the disincarnate entity via knocking on walls or furniture. Although many of these stories tend to tie back to the early days of the Spiritualist Movement and the “rappings” heard at séances, a mediumistic trick that stuck around as a paranormal leitmotif. These auditory manifestations behave much like cognizant apparitions, simply without the appearance. The hallmark of this type of ghost is its ability to interact with the witnesses, who may ask it questions to which it might reply. But they do not always converse, if you will. Sometimes, though conscious of their state or environs, they may only say one or a few words but those that seem to carry some portent such as “get out.” Since the voice is seemingly responding to the percipients presence, it is logical to assume that this phenomenon is not an environmentally imprinted anomaly, rather a cognizant entity wishing to express a thought. Olfactory Manifestations Like manifestations of sound, this phenomenon is experienced by one sense only, the sense of smell. Throughout history, witnesses have reported the smell of roses, perfume, sulfur and a slew of other phantom scents that seem to defy logical explanation. Many ghosts may exhibit a degree of impact upon their environment: footsteps are not only heard but felt, vibrating floorboards, a door is opened, a touch felt, or the imprint of a person forms upon a newly-made bed. But primarily they aren’t known for greatly affecting the physical world. One type of ghost is far more energetic than others. True Poltergeists can best be described as a Recurrent Cognizant but are offset by their ability to manipulate the environment (though rarely with much violence). These seemingly autokinetic manifestations often reveal themselves by moving objects or physically interacting with the environment or witnesses. For instance, a picture frame might be thrown against the wall by an unseen hand, a phantom hand may pinch an arm, or dishes could be dropped from their cupboards. The term, poltergeist, comes from the German meaning “noisy ghost,” which describes its actions accurately. However, German lore describes the spirit as a prankster with a playful orneriness. Recurrent Spontaneous Psychokinesis is a syndrome similar in all outward appearances to a True Poltergeist. However, this phenomenon is decidedly different in origin. The causative agent in such manifestations is frequently (but not always) an adolescent or pre-adolescent involved in the happenings. It is believed that unexpressed psychosexual or emotional turmoil within this individual can manifest itself subconsciously as psychokinetic phenomena. Statistically speaking, females 9 – 17 are the most prone to exhibiting RSP but males and even individuals much younger and older have been described as catalysts for this phenomena. Often one can distinguish between RSP and a True Poltergeist by the severity of the incidents. RSP appears to present itself far more vigorously. I would advise that in cases such as these (when a True Poltergeist has been eliminated as the cause), the agent, their family and their friends should be urged to speak with a reputable and professional psychotherapist. I would not recommend that amateur investigators attempt to “exorcise” any spirit since the causative agent could very well be a living individual’s extraordinary psyche. If, for whatever reason, that does not seem feasible, rest assured that, by all reputable accounts, RSP rarely lasts more than a few months. Furthermore, aside from a few dubious tales, no one has ever been seriously harmed by such manifestations. Because of their theoretically psychic origins, I am hesitant to classify RSP cases and cases of Anxiety-Related, Non-Repetitive Apparitions as ghosts in the truest since of the word. However, since correlations between the spirit, the psychic mind, and ghosts of the dead have never been confirmed, these phenomena belong here as much as anywhere else. Combinative manifestations are essentially that, a combination of phenomena exhibited by other manifestations. For instance, one may see an apparition and smell her ghostly perfume and she may speak to the witness or knock a chair over. Or a residual apparition might break from its incessant routine to impact physical reality by touching someone or speaking to them. It is these anomalies within anomalies (which are actually pretty common) that make up many of the stumbling blocks investigators face in trying to characterize and classify these phenomena. Therefore, I present the preceding as merely a general guide. Oklahoma City's KFOR TV Channel 4 reporter, Galen Culver, brought this story about a bobcat with an unusual talent. CLICK HERE. Spielberg's Rising To The Occasion? I'm blaming the writer's strike, that needless constipation of the 2007-2008 television season, on the cancellation of a show that I had hoped would take off: Bionic Woman. The strike had managed to even put ratings slumps into those shows sitting securely on top. A new, struggling program had little chance of ever recovering. In 1911 it was reported that George Maledon, an executioner at the US Court in Fort Smith around the turn of the 20th Century, was often haunted by those men whom he had hanged. So troubled by their apparitions was he that Maledon took to sleeping with the lights on until his own death that year at the age of 87. In irony (or perhaps bad taste), his final resting place was near the very gallows that haunted him so. For those of you who stomached the biased Crystal Skulls reporting on SciFi last night. God bless ya. I clicked it off halfway through, unable to handle yet another nebulous, unsubstatiated claim. There was a real dearth of counterpoint (of which there is plenty) and perhaps it came later in the episode. I will have to catch a rerun when I feel more up to it. I grew aggravated every time someone said, unchecked, that the Maya predicted the world will end in 2012. This is not what they predict. This is when their calendar runs out. The most the Maya have said about this time is that it will be one of change. Sure, I suppose one could argue that means total global destruction by a supposed Planet-X . This theory about the end of the world arose from an art historian and avid new-ager named Jose Arguelles who was a proponent of Harmonic Convergence and who culled some aspects of his theories from non-Mayan sources such as the I Ching. In addition to having miscalculated the calendar (he did not compensate for leap years), he claims he is "heir of the legacy of Pacal Votan and the instrument of his prophecy, Telektonon". Most Mayan scholars refute such unsupported claims. As for the skulls themselves, the most "authentic" are not even rendered in any artistic style familiar to the Maya. Of course, true believers will say this is because they were made by Atlanteans or Extra Terrestrials but without proof, these are just words. Her: The world will suffer a cataclysmic event in 2012. Her: Because the Mayans predicted it. Me: And how do you know the Mayans are correct? Her: Because they were colonized by the Atlanteans. Her: You can tell by comparative palmistry. Crazy Cool, Daddio. Crazy Cool! Vintage UFO brought this blog to light. 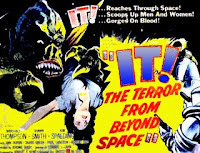 If you like classic monster movies, and especially the often surprisingly cool music contained therein, you are sure to "dig" Monster Movie Music blog. The only downside is the tedious wait for the links to run in order to hear the music. In 1923, residents in the region around Winfield, Kansas began reporting a new and frightening species of aquatic life. Investigating the matter, Dr. O. H. Reynolds captured two creatures that he described as having the combined traits of a reptile, fish, and bird. Reynolds said the body, which stood on four legs, was like that of a lizard with a catfish coloration and an alligator-like head filled with rows of sharp teeth. The long tail, however, had fins like a fish and across its back were "membranous, finlike members" resembling feathers. The animals swam rapidly and would dive into the water in a corkscrew fashion. Although seemingly a monstrous chimera, the creatures were only as long as a man's finger. But their bite was said to contain a deadly poison. Cattle in the Wellington and Medicine Lodge areas were rumored to have died after such bites. Necropsies, it is claimed, also revealed that the stomachs of some cattle contained specimens of these mysterious creatures. I can't even begin to imagine what these creatures were. Evolutionary hiccup? The misidentification of known animals, coupled with hysteria? A complete fabrication by unscrupulous journalism? I know this area of Kansas well and have never heard of such a thing. I have family in the area to this day. I can't recall having ever heard such a tale. If you have any insights, I would love to hear your opinions. Today is Saint Brendan's Feast Day, which honors the Irish-born saint that legend claims sailed to the America's in the fifth century CE. The story goes that he and 14 other monks set sail in a leather clad vessel known as a coracle in search of the Garden of Eden. Some say he did, in fact, reach the shores of the New World since Columbus researched Brendan's legend when planning his Western route to Asia. In the 1970's, adventurer Tom Severin, attempted the same journey using a coracle similiar to that of Saint Brendan. To early mapmakers, it would seem logical that Brendan would have sighted Hy Breasal, an island in the Atlantic west of Ireland. Found on maps from 1325 to 1513, Hy Breasal was said to, according to Celtic legend, only appear at sunset, shrouded in mists. The Celts viewed it as a 'blessed stormless isle, where all men are good and all the women pure and where God retreats for a recreation from the rest of us'. In addition to this mythical island, these same early maps would include St. Brendan's Island as well, which some believe was merely the tip of a pre-Columbian iceberg: North America. The legends of these islands endured so long that it wasn't until the 1870's that they were finally removed from some Admiralty charts. Several sites have been simultaneously abuzz with Mothman posts in recent days. It's a popular subject for many but I never took much stock in it. I think too much hokum and confabulation surfaced in the wake of those events in the fall of 1966 - much of it from writer John Keel (The Mothman Prophecies) who arrived in Point Pleasant to , in my opinion, stir the pot. I think IF something was genuinely witnessed, it could have been a sandhill crane or large owl as some have speculated. 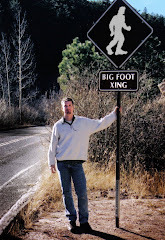 Although I can't think of any owls that come close to the size reported. Even considering exaggeration, the largest living owls couldn't compare to the roughly six-foot-tall Mothman. Not even if we stretched our imaginations to include a remnant specimen of the extinct Giant Cursorial Owl, which lived in Cuba 10,000 years ago and stood three and a half feet tall. So, what did the denizens of Point Pleasant, West Virigina truly see? I don't doubt that something was witnessed but too much of the story was written after the fact when it had had time to grow more complex and fanciful. Much of the Mothman's purported psychic or paranormal abilities arose from John Keel's investigation and re-interviews by UFO investigators a decade later. I don't believe that Mothman was, as Keel has suggested, a supranatural entity from another dimension. I think the writer's presence in the area was a good example of a bad investigation; he came in with an agenda to pursue, truth be damned. There very well could have been something very weird haunting that small town on the Ohio River but because no immediate, unbiased, scientific examination was launched, we are left with only hearsay and speculation. I'm the first to say that I believe in a lot of weird things. I just can't swallow Mothman - not entirely, anyway. Does Music Truly Soothe The Savage Beast? We have all heard the old adage "music soothes the savage beast", but just how often does this work? Or rather, how often does one have the presence of mind to pick up an instrument in the midst of an attack? Well, in combing through those very old newspaper articles that I seem to love so much, I came across an account from the summer of 1906. 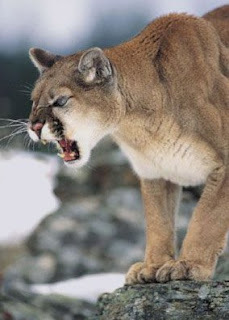 It seems John Underwood and his wife were camping in the Black Hills when a mountain lion attacked. The creature leaped onto the frightened woman, knocked her down, and kept her pinned there with its front paws on her chest. Somehow, in her fear, she recalled that music could tame wild creatures. She began singing and, according to her, the lion seemed lulled by her voice. However, if she stopped, the big cat would growl and lunge once more. I know what you are thinking; this is worse than American Idol, right? So like a cheap Vegas act, she was forced to sing all night until she was at the brink of exhaustion. Finally, her husband (who had apparently been elsewhere all night) returned to find her cornered by the beast. He quickly took aim and shot the cat, killing it instantly. Fantastic tale from the dwindling days of the American frontier? Perhaps. During the first 10 to 15 years of the 20th century, one can read scores of newspaper accounts that recall - with considerable degree of romance - the legends of 19th Century frontier life: Indian tales, stories of lost treasure, outlaw legends... I think, like the founders of the Arts and Crafts movement or the Spiritualists of this same period, Americans sensed that something special was slipping away. A change was on the wind: we were in a new century, constantly on the brink of improvements in science and industry. I think legends of the frontier became so popular because those wild open spaces were becoming increasingly fenced in, parceled, annexed, and railed. In fact, in less than a year from publication of this story, Oklahoma Territory – one of the last strongholds of the wild frontier – would become a state. These nostalgic looks at frontier life were a way to hold onto the frontier past for just a little longer before it slipped away forever. Manifest Destiny’s last hurrah. Sometime during the twelfth century, in the English village of Woolpit, an unusual legend was born that brings fame to the small hamlet even after 800 years. The legend tells that two children, a girl and a boy, were found crying in a field nearby clad in garments of unusual manufacture. However, the most striking thing about the duo was the color of their skin: green. The men working the field took the children to the home of Sir Richard De Calne. Once in the home, the two became a spectacle at which the villagers were allowed to gawk. Neither could speak English and, initially, they would accept no food. However, as starvation set in, the children relented and began eating beans. In proper medieval European fashion, the children were soon baptized. The boy, unfortunately, died shortly thereafter. The girl did survive and eventually began to eat different foods. Subsequently, her health improved and her skin turned to a pallor more familiar to the denizens of Woolpit. Now able to communicate, the girl was able to tell locals about where she came from and how it was that she and her brother had arrived. They came, she said, from a land where all the inhabitants were green and there was no sun but only perpetual halflight. She and her brother had been tending their flocks when they came to a cave. Curious, they entered and explored until they suddenly found themselves stunned by daylight. There they had lain disoriented for some time when the field workers found them. She said they wanted to escape but could no longer find the cave entrance. The girl eventually took up a job in the home of a wealthy knight. She later married and lived out her years in Suffolk. Others who chronicled the legend, such as William of Newburgh, added that the girl told the people of Woolpit that her homeland was called St. Martin's Land and that all its people were Christians. However, this is a later addition and may not be wholly accurate. Although for some, it may hold the answer to the riddle of the Green Children. Paul Harris, who has studied the matter, theorized that the children may have come "from the twilight of the thick woodlands" of Thetford Forest, which is very near to old flint mines. The village of Fordham St. Martin, too, is very close to this forest. Harris believes that the children may have spoken an English dialect that the isolated villagers of Woolpit could not understand. Harris continues in his theory with the belief that malnourishment contributed to their verdant hue. I have doubts about this theory, mainly having to do with 12th century topography. But I also wonder if any dialect could be so alien as to sound completely foreign. Although, I have heard more than one Welshman that spoke English in an accent so thick as to be able to shield one from radiation. So, I suppose it is possible. A curious reiteration of this tale surfaced in Banjos, Spain centuries later. In August of 1887, it is said that two children with Asian like eyes appeared at the mouth of a cave wearing strange clothes and possessing green skin. They spoke no Spanish and would not eat any food proffered. Eventually the boy died, but the girl lived on, learning Spanish. She told the townspeople that she and her brother arrived from a sunless land via a whirlwind that deposited them in the cave. The girl died in 1892. As strikingly similar as the accounts are, it seems almost obvious that the latter was based upon events at Woolpit. Perhaps the Spaniards were green with envy. No? Anyway, this may explain a curious facet of these legends. In researching them, I was often struck by how many writers glossed over the connection between these two tales. Jerome Clark doesn't even mention the Spanish event in his paranormal omnibus, Unexplained! And a Reader's Digest book, Mysteries of the Unexplained, only mentioned it in passing with no real examination. Perhaps it is simply too obvious to remark upon. After all, similar pilfering of past legends have occurred before. The famous case of farmer Orion Williamson comes to mind. He vanished in mid-step as he crossed his pasture in 1854 and no fewer than four stories arose in this legend's wake, most famously "The Difficulty of Crossing a Field" by Ambrose Bierce. UPDATE: I was listening to the Mysteries Abound podcast (ep 19) in which it is explained that the Spanish version first appeared in John Macklin's Strange Destinies (1965) and that no such place as Banjos exists in Spain. 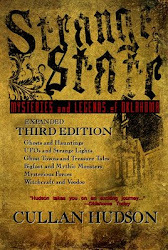 Author and paranormal mainstay Troy Taylor, along with the American Ghost Society, will be holding the 2008 Haunted America Conference at the Lincoln Theater in Decatur, Illinois June 20 and 21. Featured speakers will include: Troy Taylor, Rosemary Ellen Guiley, Dale Kaczmarek, and Oklahoma's own "Ghost Divas," Tonya Hacker and Tammy Wilson from G.H.O.U.L.I. and Eerie Oklahoma. "When a group of women are abducted in the wintry hills of rural Virginia, the only clues to their disappearance are the grotesque human remains that begin to turn up in snow banks along the highway. With officials desperate for any lead, a disgraced priest's questionable visions send local police on a wild goose chase and straight to a bizarre secret medical experiment that may or may not be connected to the women's disappearance. Its a case right out of The X-Files. But the FBI closed down its investigations into the paranormal years ago. And the best team for the job is ex-agents Fox Mulder and Dr. Dana Scully, who have no desire to revisit their dark past. 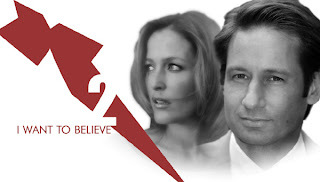 Still, the truth of these horrific crimes is out there somewhere...and it will take Mulder and Scully to find it!"